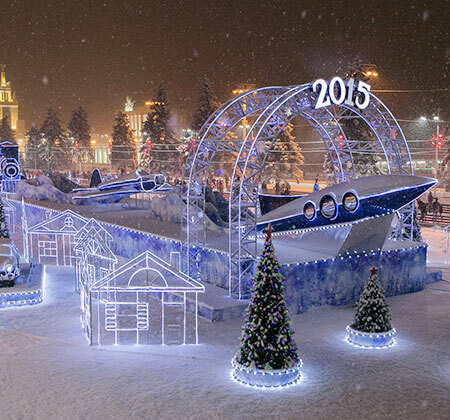 Skating rink in Sormovsky Park is an all-weather ice complex with convenient cloakrooms and skates rent. It is an excellent place for mass skating, for family and corporate rest. Everyone can find perfect ice, a possibility of skates and protective equipment renting and also a professional service of experienced instructors. The ice surface of a high quality is updated and cleaned regularly. 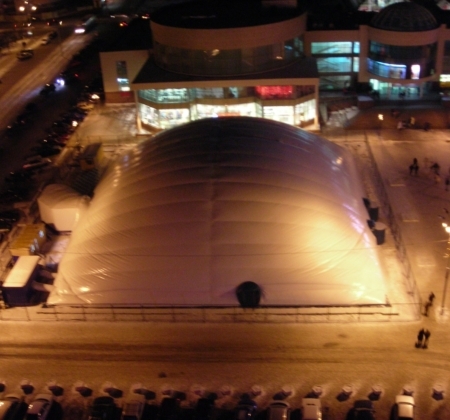 An inflatable construction is a dome supported by internal excessive pressure. 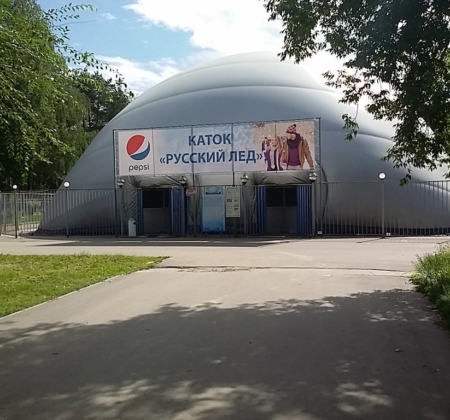 There is a skating rink with artificial ice surface and a recreational zone with a cloakroom, cash desk, rental zone, bar with hot drinks and benches for dressing up inside the inflatable construction. The skating rink and the recreational zone are divided by a transparent membrane with doorways. There are two entrances with four-casement revolving doors for visitors’ entrance and exit. The structure of the ice field represents the pipe cooling system on the heat-insulation layer covered with the waterproofing film and mounted on the gravel sand basis. Thermostating liquid (40% water ethylene glycol solution) comes through special pipelines from the refrigeration unit to the cooling system. The system pressure doesn’t exceed 0,3 MPa (3 kgf/cm2). Temperature of the thermostating liquid isn’t below -12 °C. 129915, Moscow, st. Khovanskaya 22, bldg. 2, office 1. LLC "Russian Ice Development"
Russian Ice Development © 2018. All rights reserved.